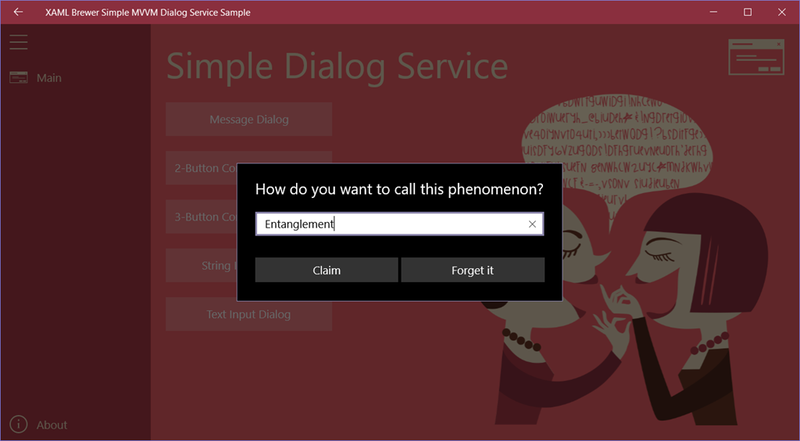 or to request long and short text input from the user. Basically we need a control to display some text(s), one, two, or three buttons, an optional input field, and an overlay to cover the app window to make it inaccessible. Well, that’s exactly what ContentDialog does. 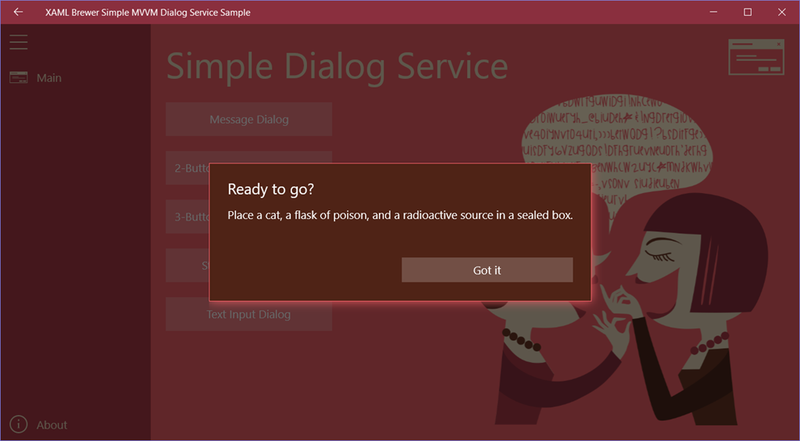 By the way: try to get rid of the old Windows 8 MessageDialog. the caller would want to know which of these buttons was pressed. 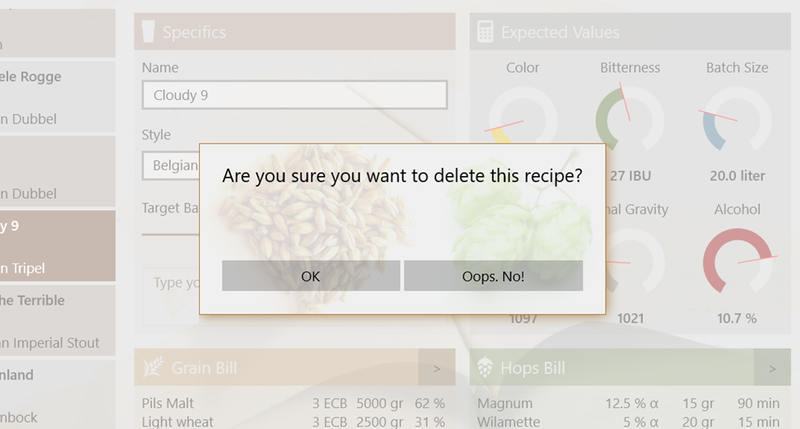 Again, there are overloads that use default values for the buttons: the not highly original “Yes”, “No”, and “Cancel”. 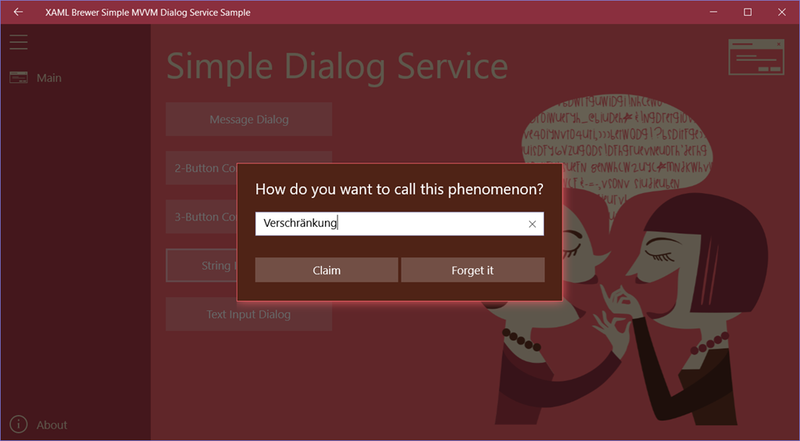 To transform a content dialog into an input dialog, it suffices to replace the default text Content by an input control, such as a TextBox. 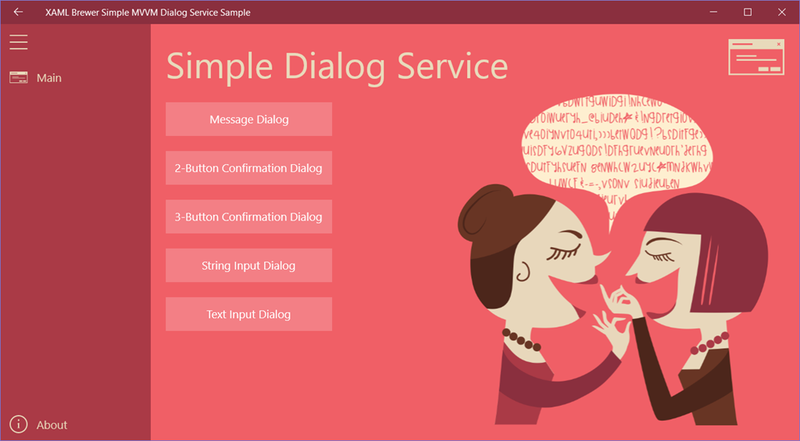 The ModalView Service provides two input dialogs: one for a string value, and one for a larger text value. Feel free to add your own versions to request for a number, a date, or a selection from a list. "Some large string containing line break (\n) characters." Be aware: if you retemplate built-in controls you have to closely follow up and verify your styles against all the new SDK-releases. Future native ContentDialogs may have a different structure or visual states, or will make use of new features like the AcrylicBrush (for the overlay) or RevealBrush on the button(s). I’m pretty sure you wouldn’t want to miss these. 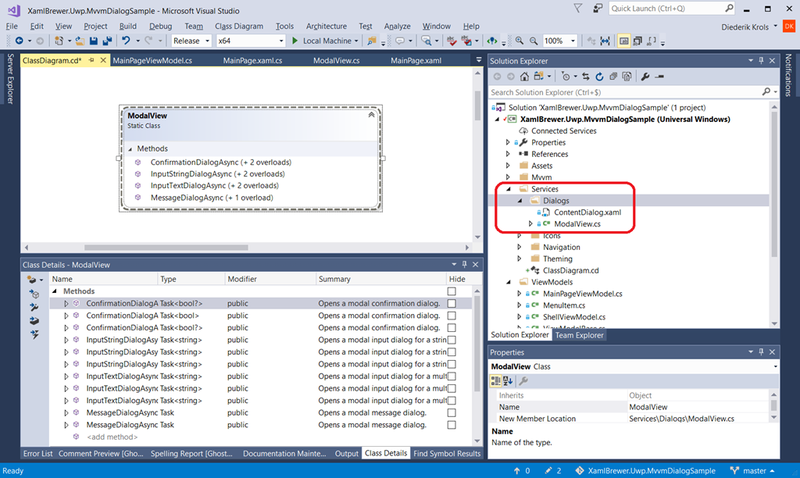 The ModalView Service and its sample app live in this GitHub repo. 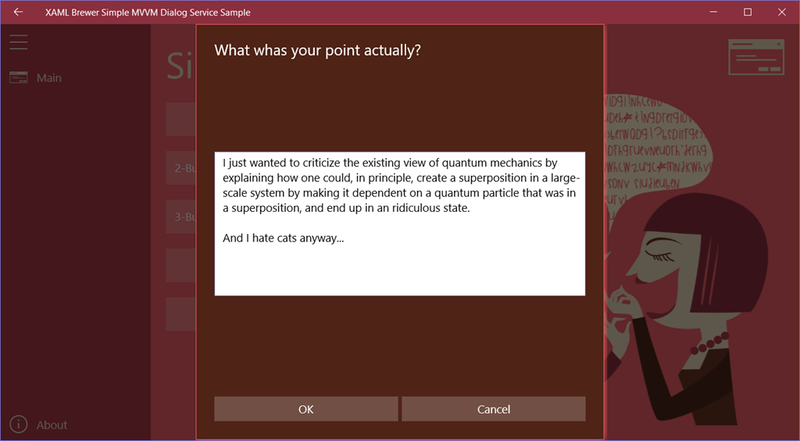 This entry was posted in UWP, UWP Community Toolkit on August 2, 2017 by xamlbrewer.